Category Archives: OK, I’m here. So now what? Regular followers of this blog (in other words, the most sagacious among you), will know that I wrote a previous post in this category on the destination of Cancun. It met with such a resounding reception from both of my fans that I have deemed it time to consider another tourist spot. And what a destination it is! As I pointed out in the Cancun post , it is not enough to simply select a great destination and the perfect resort. You need to give a little serious thought as to what you will do once you get there. What say we get you out of your dreary, drab, mind-numbing daily existence (just sayin’) and remind you what zest and gusto feel like! 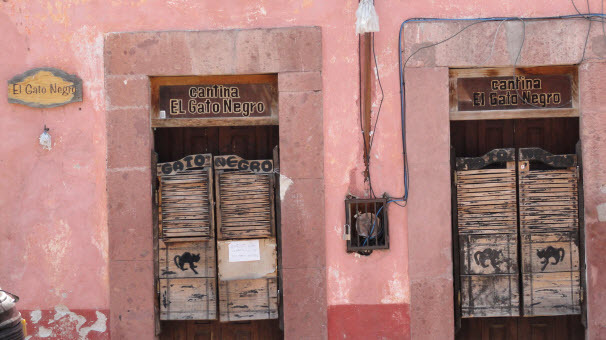 Situated between Cabo San Lucas and La Paz, this charming village is famous for being home to Hotel California. If you were born after 1977 (first and foremost, try not to gloat), this is the title song from the Eagle’s album of the same name. This desert oasis offers spectacular views of the Pacific. It is nestled among ancient orchards of mango and palms. Tours of the fascinating city of La Paz are also available. When I say, “Let’s Get Crazy”, let me be clear. I mean let’s you get crazy. Entrusting my life to a series of cables strung between trees is not my idea of a sane pursuit. The selling point of this particular adventure is that it is the only canopy attraction in Mexico in which you can ride tandem with 1, 2 or even 3 friends. Unless the thought of a joint suicide pact holds some bizarre appeal for you, I strongly suggest you invite your most anorexic friends along on this one. If you find in impossible to see a cute animal without uttering the obligatory “Ahhhhh”, this experience is probably perfect for you. As the website explains, “Your Dolphin Encounter begins with an informative introduction by our dolphin trainers who will help you understand the dolphins’ anatomy, physiology, etc.” This sentence may sound innocuous but it is all about learning how to pet a dolphin and, much more importantly, how not to pet a dolphin unless you want a lot more affection than you bargained for! Most of my fishing experience growing up was with a cane pole and a plastic cork in my grandmother’s East Texas stock tank roughly the size of a disco dance floor. On a good day you might catch a 10 ounce Sun Perch only to get finned for your trouble. I am assuming that bears no resemblance to sport fishing but having never experienced it, I can’t attest. It is obviously popular because on any given morning in Cabo you can see up to 200 charter boats leaving the crowded marina. At last we have reached a truly civilized activity. Muslims have their Mecca, we golfers have our Los Cabos. There are way too many great courses to mention them all but three of my favorites (Cabo Real, Puerto Los Cabos & Club Campestre San Jose) are operated by Questro Golf. Throw my name around and you will probably get a couple of broken tees and all the tap water you can drink. Seriously, tell Nubia I sent you and you will at least get a warm smile and cheerful greeting. Amazingly, those are just a few of the many activities available in Los Cabos. 4) Most importantly, you contribute to the financial solvency of this humble blogger. How is that for “fool disclosure”? Some travelers get so caught up in their destination (where do I want to go?) and their domicile (where do I want to stay? ), they forget to ask themselves “What do I want to do when I get there?”. In fact, that question should probably precede the previous two. If your definition of a perfect vacation contains certain “must do” items, you might want to travel somewhere that offers those specific activities. Wow, are you blown away by my mastery of Aristotelian logic? Don’t try this kind of insightful thinking at home without an open copy of The Organon next to you or you might bruise your little gray cells! This is either a Mayan calendar or an Oreo cookie, not sure which. post called Cancun: A Bundle (or Unbundle) Of Fun in which I promised to provide you more information about this precise subject very soon. OK, very soon is a relative term. Compared with say the Mayan calendar’s “baktun” which divides history into periods of 394.26 years, the past few months have been a mere heartbeat. Speaking of the Mayans, the world didn’t end last Friday while I was out Christmas shopping, did it? I would be extremely upset to find out that while I was being jostled in line at Bath And Body Works by a tattooed teenager with a nose ring , I missed the entire apocalypse! There are way too many tour options and activities (over a hundred) to list them all here so I will just mention a few and then point you to this awesome site where you can research, dream and even book to your little heart’s content. Be honest, haven’t you always wanted to ride a camel? I’m not saying you dream about it at night because frankly, that would be a little weird. But wouldn’t it be nice, when there is a lull in the conversation at your next cocktail party, to be able to throw out a totally random comment about camel riding in Cancun? This is a unique experience specially designed for travelers with a taste for the exotic. If vacations are all about experiences outside your normal routine, unless you recently traded in your Dodge Ram pickup for a dromedary, this should certainly fit the bill. This is described as “A totally wild adventure where you will drive an amphibious vehicle, go over the exotic vegetation on a zip line, and swim in an ancestral cenote.” Personally, I think it would be even wilder if you swam in the exotic vegetation and zipped over a cenote in an amphibious vehicle but that’s just me. Actually, I have done this activity. One small cautionary note. When the guide tells you that should you come in a little “hot” on your zip line run, don’t worry, he will be on the platform on the other end to catch you before you wrench your knee careening into an unforgiving tree . . . well . . . let me translate for you. What he really means is if you are young, cute, petite and female, he is there for you. If you old, male, scruffy and a little above your fighting weight, you should count on a loud “¡Olé!” coupled with a dexterous sideways jump that would make a Spanish bullfighter proud. If you have to ask what the heck is going on in the picture to the left, you don’t have any business signing up for this adventure. Interacting safely with dolphins, under water as if you were a diver, is simply unmatched. You will appreciate them from a unique and different point of view thanks to secure underwater breathing equipment that can be used by anyone. By anyone, I am excluding people like me who are claustrophobic in small, confined places such as Cowboy Stadium, Notre Dame and Yellowstone National Park. Are you are ready to peruse a list of over one hundred tour and activity choices as well as nifty transfer options to and from the airport? Just follow this link and explore to your heart’s content: Travel Leaders Cancun Activities. When you are ready for some help selecting the perfect resort for you, just visit Travel Leaders / Main Street Travel. And finally, when you are desperately bored and find yourself craving even more mindless drivel, just come back here. As you have probably discovered by now, we can deliver drivel by the dump truck load around here.